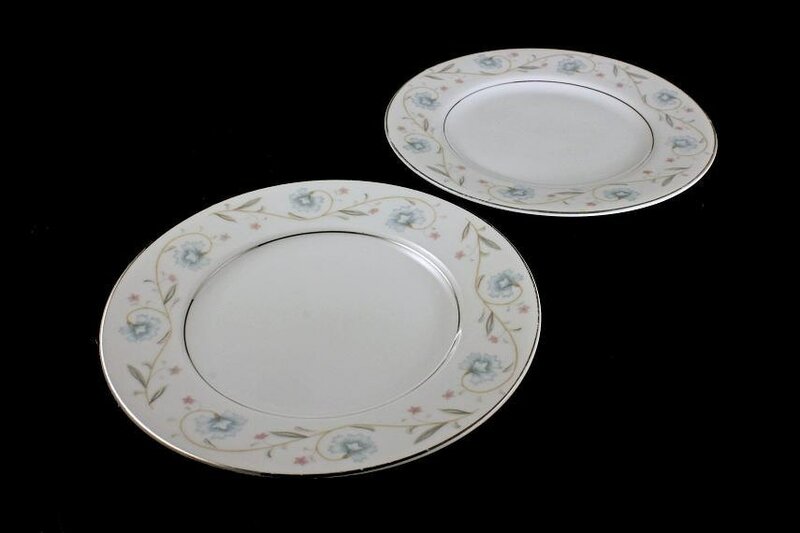 A lovely pair of fine china bread and butter plates from Japan. 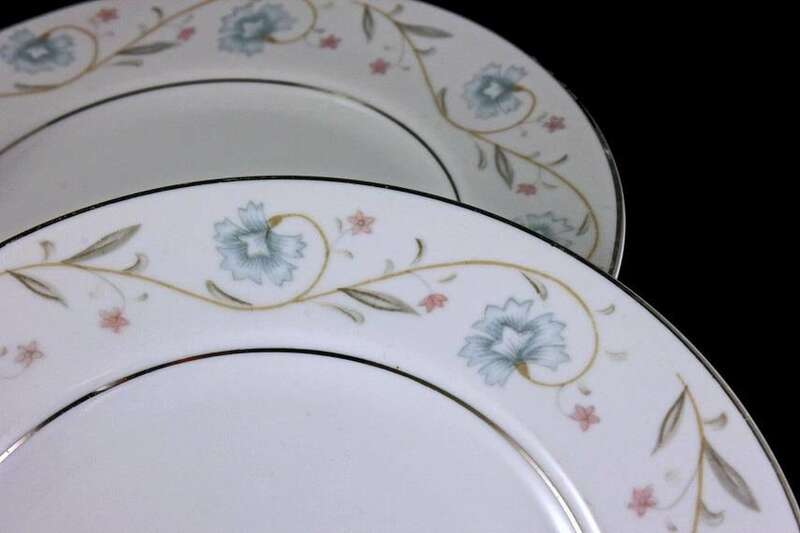 The pattern is called English Garden Platinum and consists of a white plate pale blue and pink flowers with grey leaves and vines around the rim. 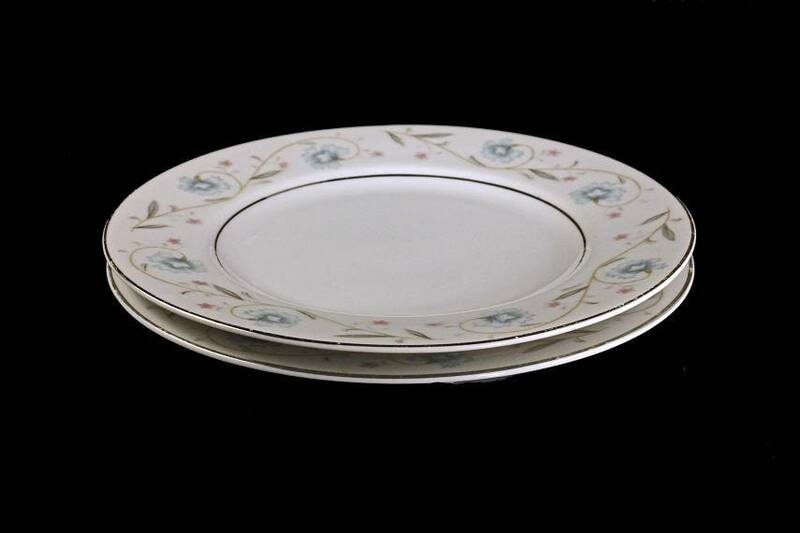 The plates have a platinum (silver) line around the edge and inner border of the plate. These were discontinued in 1968. These would be a great addition or replacement pieces. 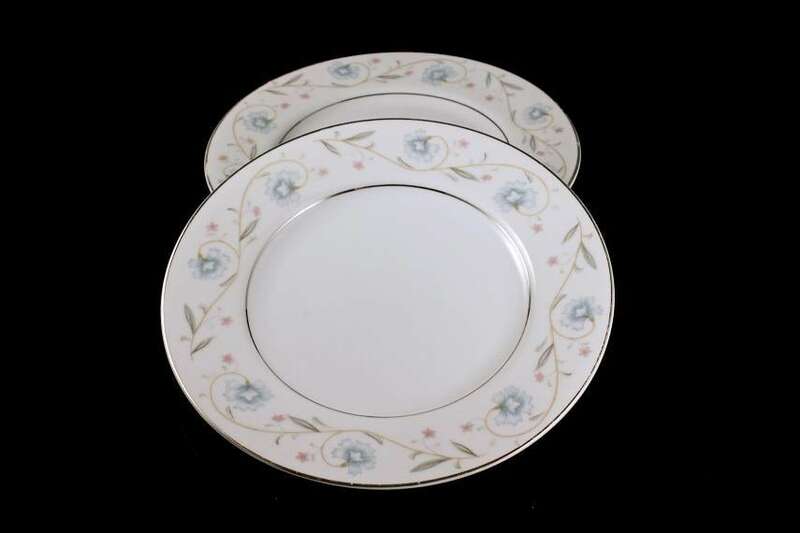 They would also be an elegant set to show off at your next dinner party or special occasion. 6 3/8 inches in diameter. 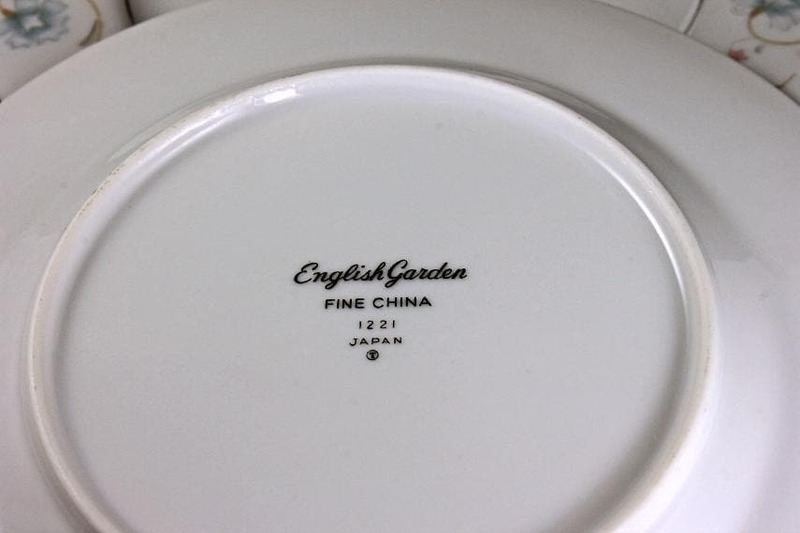 These vintage plates are in excellent condition. They show very few signs of wear. There are a few utensil marks. There are no chips, cracks, or crazing. They were bought to be used only for holidays by the previous owner.